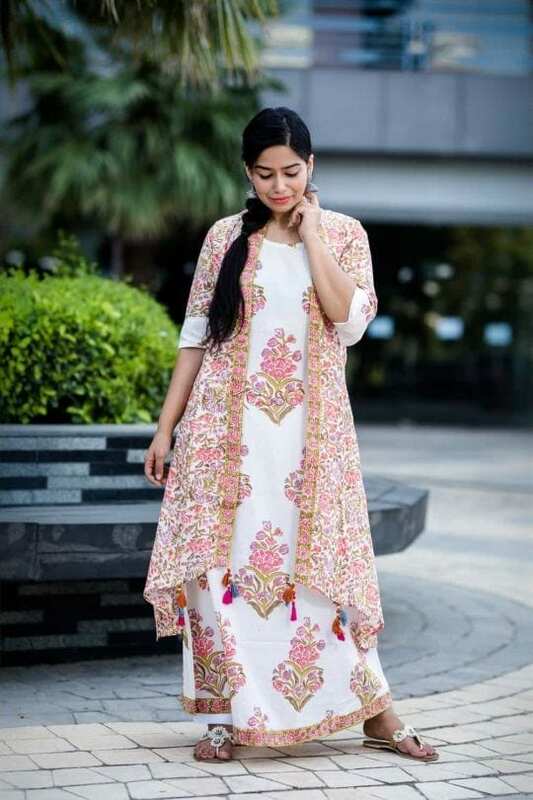 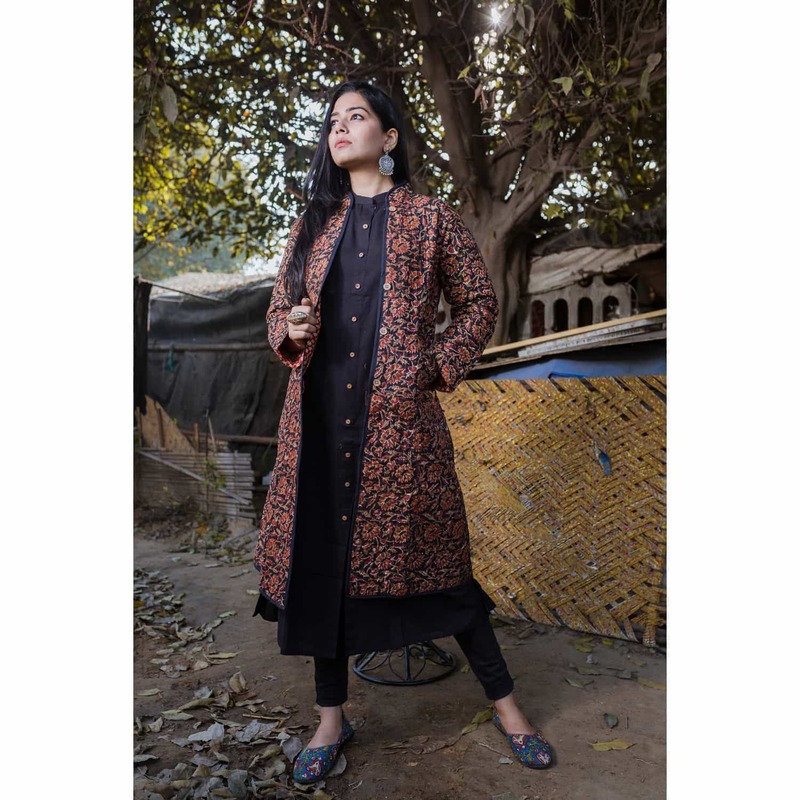 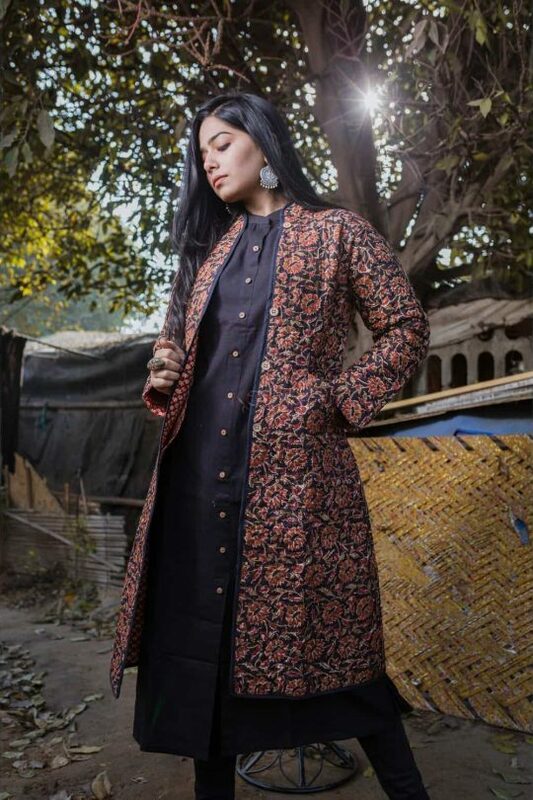 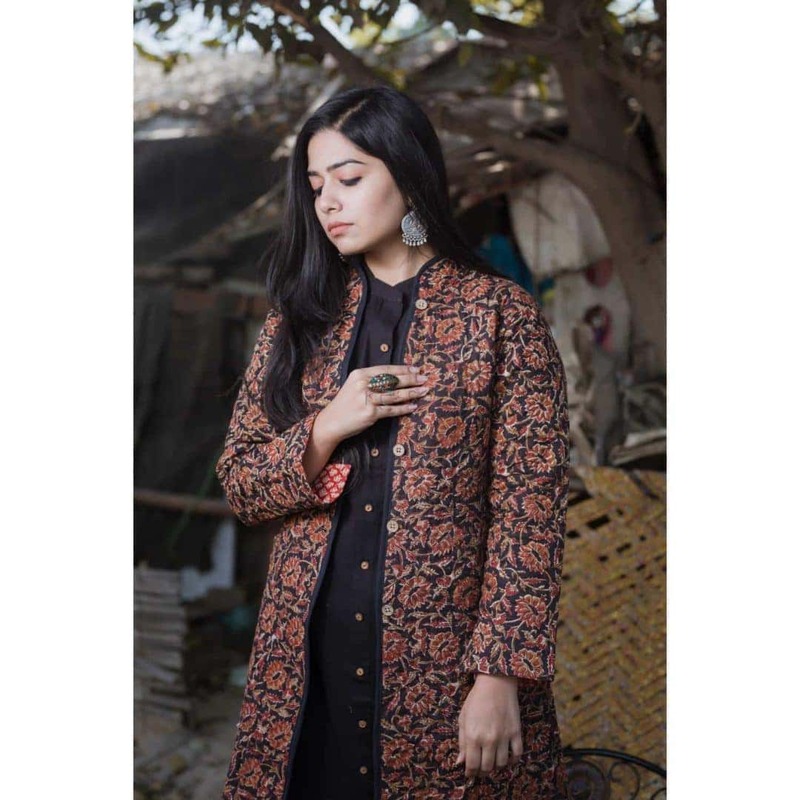 This quilted black-red long jacket with stylish collar-neck has hand-block kalamkari-print and it sits well with black and light colored kurtas. 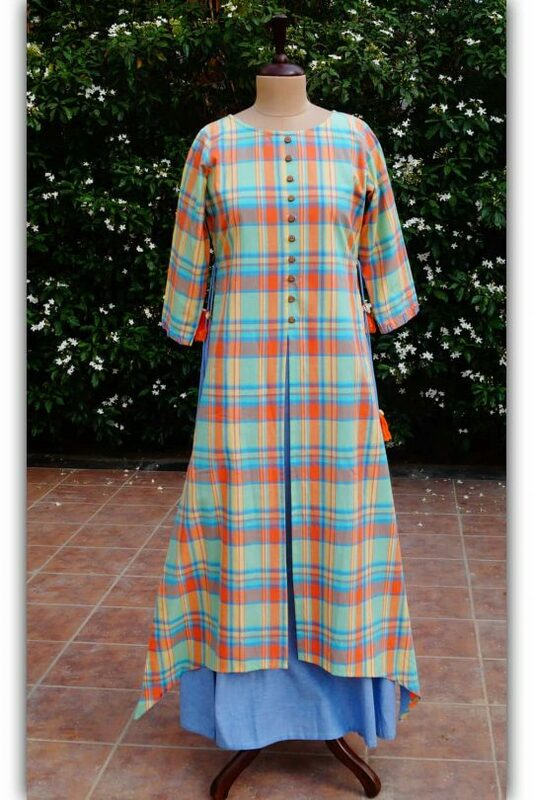 It has full sleeves and 2 pockets. 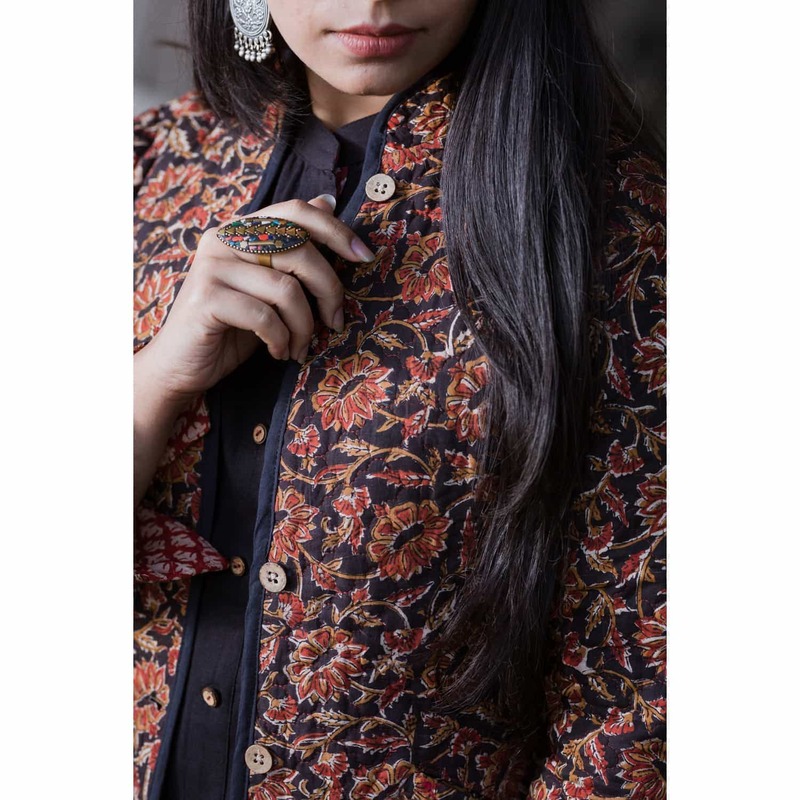 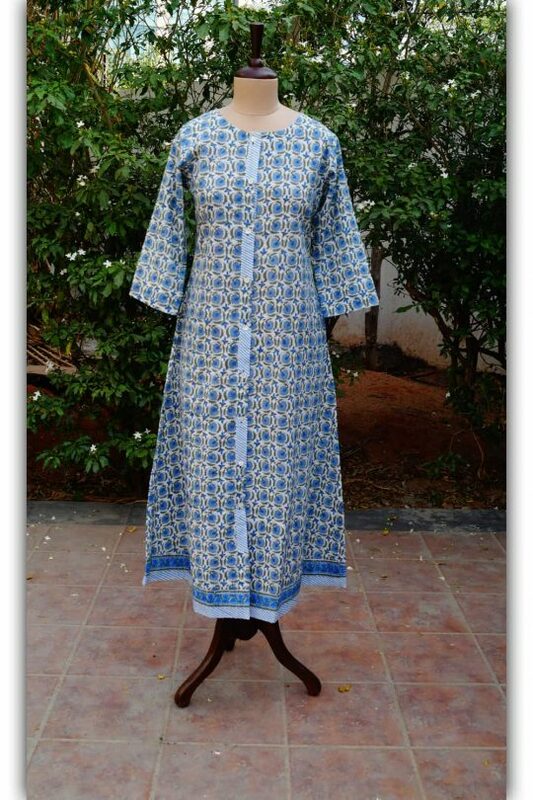 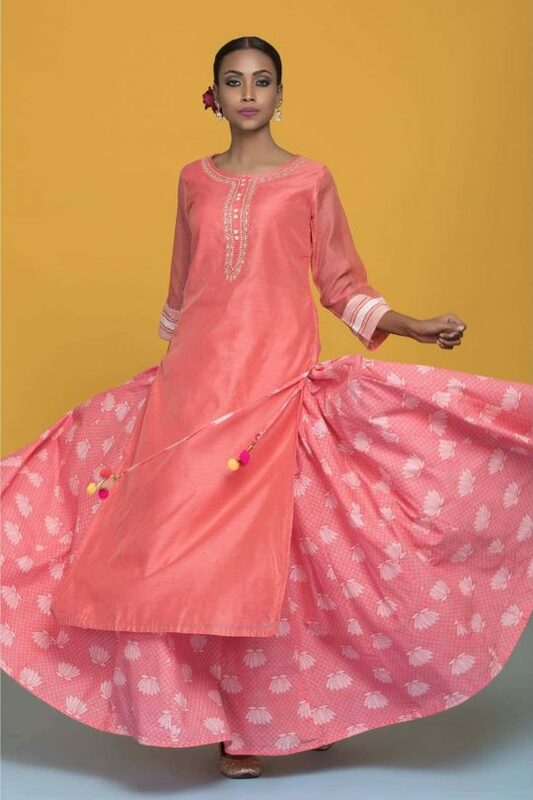 It comes with beautiful attached printed inside-lining, that makes it very pleasing to eyes and comfortable to wear. 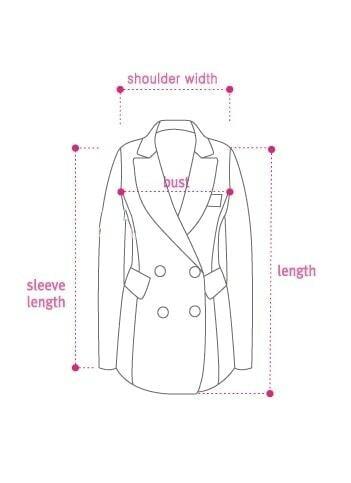 Actual bust measurement should be less than bust measurement given in the chart. 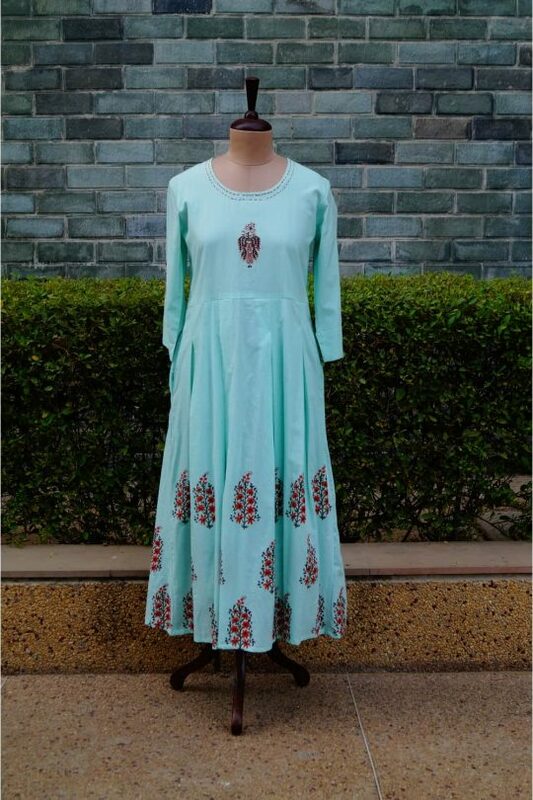 For example, female with 18″ bust should go for S & 19″ for M and so on.